While new gTLDs represent a significant opportunity for some brand owners, there is a considerable risk of increased abuse and related customer confusion. Over the last decade, the online retail space has expanded exponentially, with consumers moving away from bricks-and-mortar shops to the online retail world. In many cases, virtual shops are favoured over physical outlets and there has been tremendous growth in consumers going online to make their purchases. This has led to a change in approach for traditional retailers, most of which have launched their own online offerings, evolving into omnichannel organisations. In the United Kingdom, for example, in 2014 consumers spent £104 billion online, up 14% from 2013, according to IMRG Capgemini e-Retail Sales Index (http://imrg.org/index.php?catalog=1628), indicating that online growth is inevitable. However, one downside is that it also opens up new opportunities for counterfeiters. The Internet has made it easier for counterfeiters to target consumers and to introduce their fake goods onto the market through channels, such as social media and marketplaces. As a result, brands are losing hundreds of billions of pounds a year to online counterfeiting and pirated content. That does not include the negative impact of online brand impersonation on customer experience, long-term loyalty, marketing investments and campaign performance. In fact, in 2013 alone, brands lost more than £232 billion (the equivalent of $350 billion) to online counterfeiting and piracy – something that will only increase in the future. The increase in the availability of counterfeit goods online and opportunities for illegal downloads of digital content is exacerbated by trends such as the growth of smartphone usage and shopping apps. Looking further ahead, the growth in online counterfeiting could also be affected by the emergence of new generic top-level domains (gTLDs). Over 600 new generic name spaces have been made available in which to register domains, enabling organisations to have sites such as ‘yourbrand.clothing’, ‘yourbrand.london’ and ‘yourbrand.app’. The move is designed to give people and organisations the potential to build targeted sites to which they can direct consumers. A watch brand could, for example, direct consumers to ‘brand.watch’ as part of a marketing programme, rather than to some other long string that takes them to a sub-domain of the ‘.com’ site. For smaller businesses or sole traders, the possibility of having ‘yourname.guru’, ‘yourname.photography’ or ‘yourname.legal’ (depending on profession) may be extremely attractive. However, while these new gTLDs represent a significant opportunity for some brand owners to rationalise their domain portfolios and introduce some innovative concepts, there is a considerable risk of increased abuse and related customer confusion. Counterfeiters can seize the opportunity to register their own gTLDs based on the names of legitimate brand owners, which in turn adds more credibility to their websites and increases the risk of consumers being duped into buying fake goods. It is thus more vital than ever that rights holders have a brand protection strategy in place to mitigate this risk and protect their loyal customers. In addition to facing traditional business challenges relating to pricing, labour and the supply chain, e-commerce and omnichannel retailers must worry about the prevalence and availability of fake goods online. As mentioned above, this is not only an economic worry; it also affects brand perception and customers. MarkMonitor commissioned research looking at consumer shopping habits online and attitudes towards buying counterfeit goods. The study was conducted by Opinium and found that, alarmingly, consumers are being duped into buying fake goods. Almost one-quarter of respondents (24%) said that they had purchased a product online which turned out to be fake. This figure contrasts with the overall attitude by those surveyed (seven in 10) who said they would not buy counterfeit goods, whether due to a desire for the genuine article, moral grounds or brand loyalty. Interestingly, when looking at the experience of customers in different regions, incidents of unknowingly buying fake goods were highest in Spain (32%) and lowest in the United Kingdom (20%). Despite these views, customers are still being fooled, in part due to the sophistication and professionalism of these rogue sites. Counterfeiters use a brand’s latest photography, logos and advertising campaigns to lend credence to their sites. As a result, it is often extremely difficult for consumers to tell the difference between a site selling genuine products and one selling fakes. A critical part of brand protection should also focus on educating and protecting customers, as well as enforcement methodologies that deal with counterfeiters and rogue sites. When it comes to enforcement strategies that support an organisation’s brand protection programme, it is important to employ a number of complementary methods that work together in a comprehensive way. Not all infringement activities are necessarily the same; nor do they all pose the same risk. If a brand develops a layered set of enforcement options, ranging from marketplace de-listings to internet service provider (ISP) de-listings and further on to litigation, it can address all types of threat. The first step in any enforcement process is to differentiate between lightweight high-volume infringements and low-volume expensive activity. High-volume infringements – for example, cybersquatting on tens of thousands of sites or abuse of a brand for pay-per-click purposes – do not necessarily cause a tremendous amount of damage. As a result, they should be dealt with quickly and effectively, most likely through an automated system which can send electronic cease and desist notices to infringers. This is particularly important for an infringer with significant marketplace listings on a platform. Infringers are analysed to determine the high-value targets – that is, infringers are filtered to separate these so-called power sellers, with hundreds of sites from individual sellers. Once the high-value targets are identified, enforcement can progress through the various steps. A single counterfeiter may operate between 40% and 60% of all rogue sites targeting a particular brand and generate up to 70% of the traffic to sites selling counterfeit versions of the brand’s wares. Shutting down such a network is an effective way to disrupt, and even potentially cripple, the counterfeiter’s business. However, fighting these networks via conventional, manual means is frustrating, time consuming and ineffective. A new strategy uses advanced technology to focus on the scale of the problem, which is proving quite effective in rogue website litigation for the fashion and luxury industry. By identifying clusters of sites that display the same characteristics, brands can apply one injunction to shut down multiple rogue sites as well as future rogue sites that can be tied back to the original network. This approach maximises the impact and the return on investment for litigation. These ‘fingerprints’ are used to identify clusters of sites, often numbering in the thousands, which form networks of rogue sites. Gathering these fingerprints cost effectively speeds up the investigative phase of litigation and lays the groundwork to identify additional sites that pop up after the first round of domain names are seized. As a result, brand owners can determine the true scope of infringement and maximise the impact of their litigation investments. Compared to other global retailers, luxury brands have traditionally been far more hesitant to embrace e-commerce as part of their sales strategies. However, in today’s digitally led world, an increasing number of forward-thinking luxury brands are expanding their online offering. In the United Kingdom alone, e-commerce now accounts for around 11% of all luxury sales. Luxury fashion brand Belstaff won its ongoing battle against online counterfeiters following a civil lawsuit heard in the US courts. Judges ordered counterfeiters to pay more than $42 million in damages in the landmark case, which resulted in 676 offending websites being handed over to Belstaff in mid-July 2015. The company first announced its intention to sell direct to customers through transactional websites in 2012, as part of a decision by parent company JAB Luxury, which owns Belstaff and other luxury brands including Jimmy Choo and Bally. Making the move to e-commerce was a major driver for the brand’s growth. Within a short time of introducing the brand online, the company became aware of a high number of counterfeit websites and generic sites offering fake products. Most of the counterfeit products were at least six seasons old and the designs had long been discontinued. The fake goods were mainly jackets and outerwear – particularly counterfeit copies of the brand’s best-selling leather jackets. The brand was determined to take rapid action to protect both its customer base and its well-earned reputation. This included embarking on a major brand protection programme to aggressively protect all its intellectual property – from registered trademarks to individual products. It also sought specialist external help from MarkMonitor. The JAB Luxury group invested in brand protection services for three of its brands to monitor the full range of the marketplaces and individual websites, including those selling counterfeit Belstaff products. The technology selected was complex enough to explore the entire network of sites, including both indexed and non-indexed results, and examine fundamental criteria such as website design and payment processes. The search results uncovered 3,000 websites selling counterfeits products, and the technology also identified that more than 800 of the websites were managed by one individual alone, who was based in China. The brand decided to litigate, which was the only available option that would allow it to proceed in the United States. The revolutionary litigation in the United States was sparked by a counterfeiting case brought by The North Face back in 2010. Previously, any brand attempting to take down a counterfeiting site had to physically serve notice on the guilty parties by handing them a letter. Now, if any brand is certain that a website is selling its counterfeit goods, an email can be sent to the counterfeiter and the legal process can start. The defendant is given a set period to make itself known to the court. However, in the vast majority of cases this is not fulfilled and the judge will issue a default victory. By calculating the financial value of damages for each particular website, the judge then puts an estimated value on the damages figure. While this certainly was a landmark ruling, a number of cases brought over the last few years indicate that brand owners are not being complacent when it comes to taking the fight to counterfeiters. Establish global visibility – before a brand can understand the scope of the threat posed by online counterfeit sales, it must expose and quantify the problem. Counterfeiters operate over a wide array of online channels, all of which – including online marketplaces, e-commerce sites and message boards – must be monitored and analysed. Monitor points of promotion – while it is obviously important to identify and shut down distribution channels, it is almost certain that counterfeiters will regularly seek new sales venues. It is thus just as critical to monitor the online promotional channels used by these criminals. Counterfeiters use the same effective promotion techniques employed by legitimate marketers while leveraging the powerful, highly recognisable brands built by experts. Using paid search advertising, links within social media, black hat SEO tactics, cybersquatting and spam, they successfully steer traffic to their illicit offerings and diminish the marketing return on investment for legitimate brands. Monitoring these promotional efforts is critical. Fight online counterfeit sales holistically – online counterfeit sales are easier to address when the entire enterprise participates. Brand owners should set up a cross-functional taskforce to address the issue in a coordinated, holistic manner. Stakeholders will vary by industry and enterprise, but can include legal, marketing, risk management, loss prevention, channel sales management, manufacturing, supply chain management and other functional units. Let online intelligence inform offline defence measures – because offline measures (eg, physical investigations, factory raids and other activities) can be costly and time consuming, it is critical to know where they should be focused. Online intelligence can help to identify the most egregious infringers, so that offline defensive efforts can be focused where they will be most effective. Act swiftly and globally – perhaps even more than it affects legitimate business, the proliferation of international trade offers tremendous benefits to online counterfeiters. While a domestic seller or manufacturer may seem like an easy first target, brands have learned that it is more effective to launch global anti-counterfeiting initiatives – and get them underway expeditiously. Brands can prepare by ensuring that their trademarks are registered internationally. A global effort does not preclude addressing markets that target a specific country exclusively. In some cases, this will require competent language translation resources for monitoring, detection and enforcement. Most companies rely on third-party brand protection solution providers for this kind of expertise. Educate customers – customers can be an important ally in minimising sales of counterfeit goods, with all the associated costs. Brands should educate customers about the risks of buying from unauthorised sources and recruit them to join in the effort by reporting suspicious goods and sellers. As the online market expands, the importance of a brand protection strategy supported by enforcement methodologies is key. From current research and market trends, it appears that the threat from counterfeiters will only increase in line with the exponential growth in the digital landscape. This highlights the fact that brand owners need to keep a sustained focus on combating counterfeiting online in an effort not to only keep their revenues and reputation intact, but also to protect their customers. © 2016 MarkMonitor Inc. All rights reserved. MarkMonitor® is a registered trademark of MarkMonitor Inc, part of the Intellectual Property & Science business of Thomson Reuters. All other trademarks included herein are the property of their respective owners. 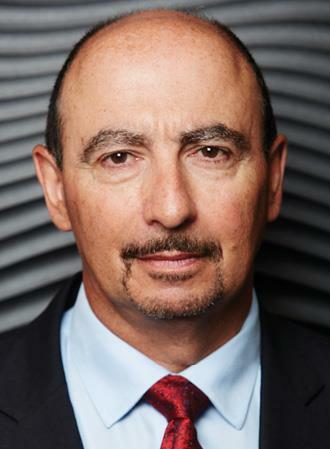 Charlie Abrahams joined MarkMonitor in 2007 to build the company’s regional presence and to lead its Europe, Middle East and Africa operations; he now heads the worldwide sales organisation. With years of experience in managing and growing technology companies in Europe, Mr Abrahams is applying his knowledge and skills to the emerging and important area of protecting enterprise brands online, in which MarkMonitor is the industry expert. Through his career, Mr Abrahams has been responsible for the leadership and expansion of major technology businesses, including Plumtree Software and Network General EMEA. He has also held the positions of UK general manager with the Amdahl Corporation and vice president and general manager of the European software business.